Ha, ha, you only wish! No, it is not a superfood, but many of us love it and with modern food processing techniques and ingredients, beer can be right up there in harmfulness with the frankenfood now sold as “wheat“. And surprisingly (or not surprisingly, given all the lying an cheating going on) beer companies do not have to list ingredients! 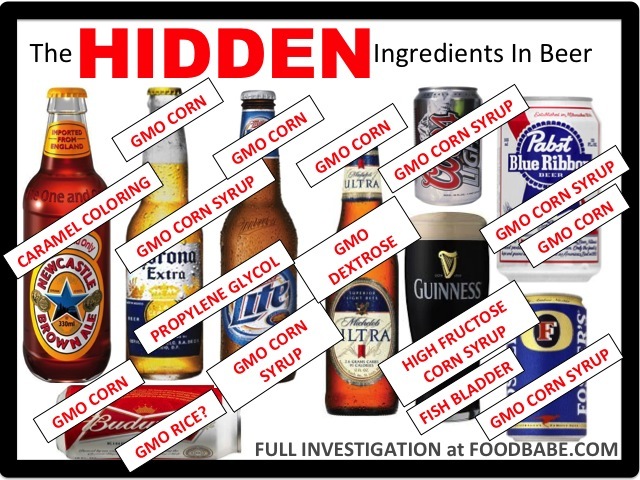 Some beers that should contain no GMO are (I think Germany does not allow GMO): Beck’s (Germany’s cheap beer), Heineken, St. Pauli Girl, Sierra Nevada, Spaten, Warsteiner, Weizen, Augustiner Edelstoff, Franziskaner, Aecht Schlenkera, Paulaner, Hacker Pschorr. Why do we care? Well, GMO, mostly. But first the bottom line for me: Buy German Beer! Beers brewed in Germany can not legally be made from GMO ingredients, according to GMO Compass. Also, there is a beer style called sour beer that is actually good for your gut. They contain probiotics: usually Pediococcus, Lactobacillus, and Brettanomyces. I recognize lactobacillus from yogurt. My tummy is sensitive, and it noticeably likes sour beer. So I am trying to keep Aunt Sally’s, by Lauginuta, in the house. It’s a little hard to do. Someone keeps drinking it up!